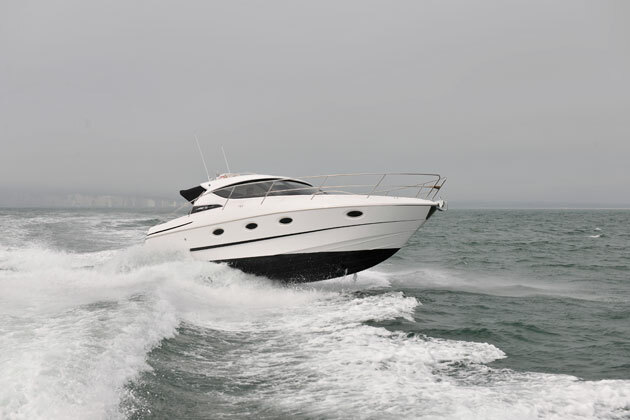 The Elan Power 30, though a boat that has been on the market for some time, is one that we have always been eager to test and we got the opportunity on the back of the Poole Harbour Boat Show. Reason being 30ft sportscruisers are a crucial stepping stone because they give you so much more flexibility and the ability to tackle longer passages and stay on board for extended periods of time. The Power 30 is one of the best in this regard because, down below, it doesn’t feel anywhere near 32ft long – it feels far bigger. 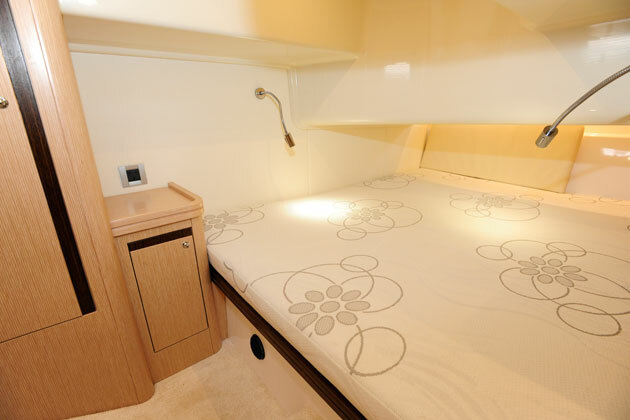 Key to the feeling of the space is the clever split galley which puts the main bulk of the counter space on the starboard side and the sink and storage unit the other side of the walkway that leads to the midships cabin. 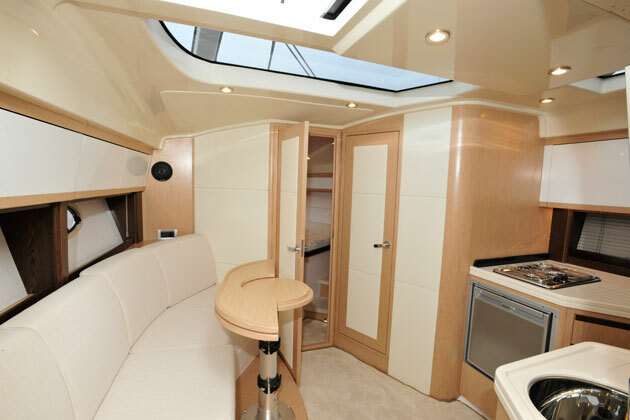 There are two separate cabins, both a good size with a reasonable amount of storage and what’s especially good about the 30 is that it doesn’t feel like everything has been pinched to fit the boat, the dinette is a good size, headroom is excellent and the door ways are a decent width unlike some rivals. The flip side of this spacious interior is a cockpit that isn’t quite as spacious as the likes of the Sealine S330 but the 30 makes up for it with intelligent design like the centrally located helm, which not only delivers an excellent view forward but also provides a large flat surface for paper charts to starboard. The helm station is now clad in classy black leather to smarten it up and reduce glare and there is a simple sliding sunroof for when the weather agrees. 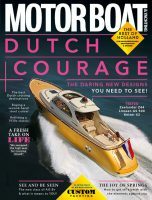 Dealer Norfolk Boat Sales say it is going to address the slightly tacky cupboard doors on the wet-bar, but that aside the Power 30 feels well put together, especially when you consider the competitive price.